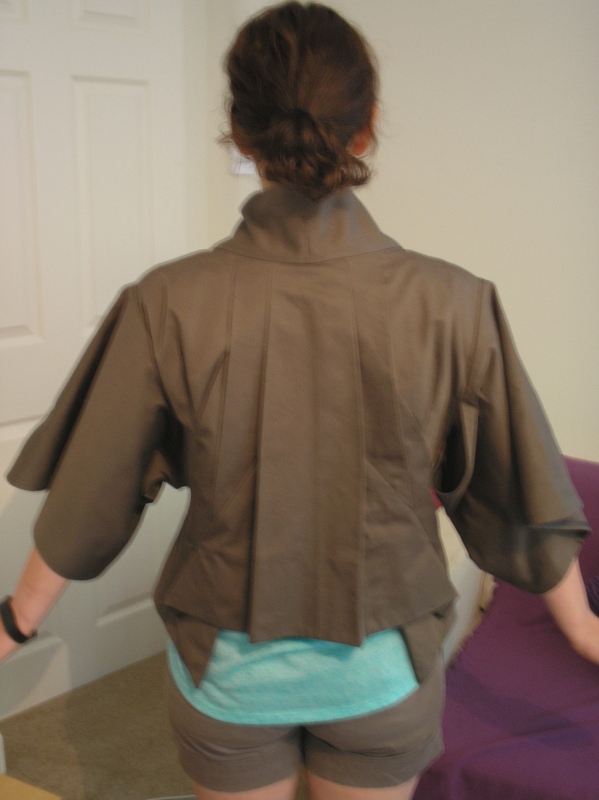 After making the calico toile that Jess tried on for fit on my last visit I intended to make her a ‘real’ version of the jacket that could be worn out. Without all the tailor tacks. 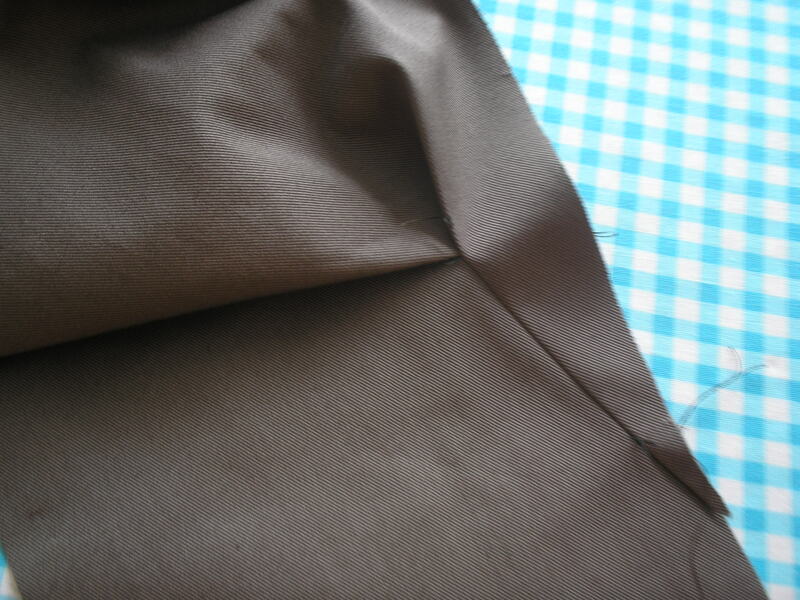 Her fabric choice was a very utility style khaki twill weave cotton that I had in my stash. I had originally thought it would be nice to make this in something wonderful but in retrospect Jess chose the right fabric for her as she wanted to wear this in a very casual fashion. The pictures were taken very quickly before we went out for the day so I apologise for the quality. In addition to that Jess had done her marathon training before we arrived and had already run 8 miles that morning. I think I might have wanted to go back to bed rather than walk around Kew Gardens with the olds. I think the jacket fulfills the ‘casual’ requirement – but I can see it will probably be returned from time to time to have the back pleats pressed properly again. The fabric does crease a bit (which has helps maintain the crisp folds to the back) and I imagine it may need to be freshened up on occasion. Jess asked for both fronts to be made the same length which I think looks pretty good. I am happy with the result and whilst I would still like to make this for myself at some point I am happy to put it away for a little while. Possibly a long while. That is the finished report so if you have no interest in making this you can leave now if you want! Whilst many people seem to be reporting that they have downloaded this pattern not too many seem to be actually making it – possibly put off by the scant (though fine) instructions provided by Show Studio with the download. I am sure that others have made this in slightly different ways I will share my experience. As I said in my last post about this pattern I had the file printed at a copy shop which meant that I didn’t have to paste all the odd shapes myself and possible doubt my result. This I can recommend. Centre back panel. Cut 1 (I fitted mine in on the fold by folding the pattern piece in half). 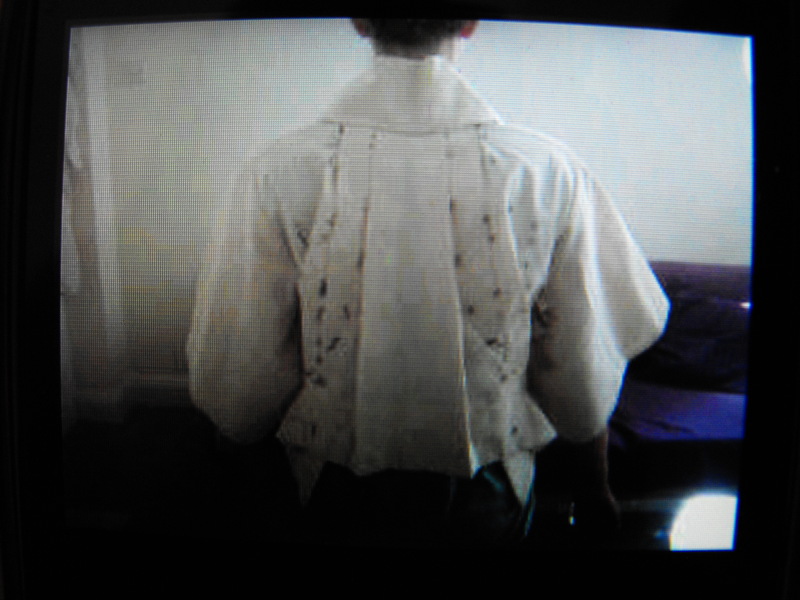 Collar front. Left side piece Cut 1. 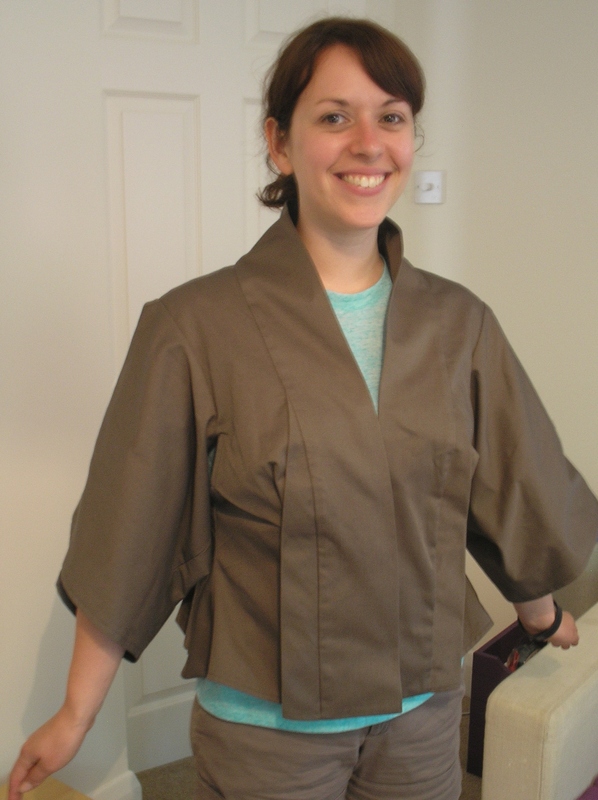 There appears to be a 1cm seam allowance included in the pattern pieces – I sewed the jacket with this in mind and all the pieces fitted as expected. The grainlines are marked on the pieces but not in the way of the big 4 style patterns. Look closely and you will identify them easily. I printed out a copy of the instructions from the download file and worked with that. However, I did make a few changes to the order and did a couple of things with this jacket that helped make things clearer for me. Mark the letters to match in coloured pen. 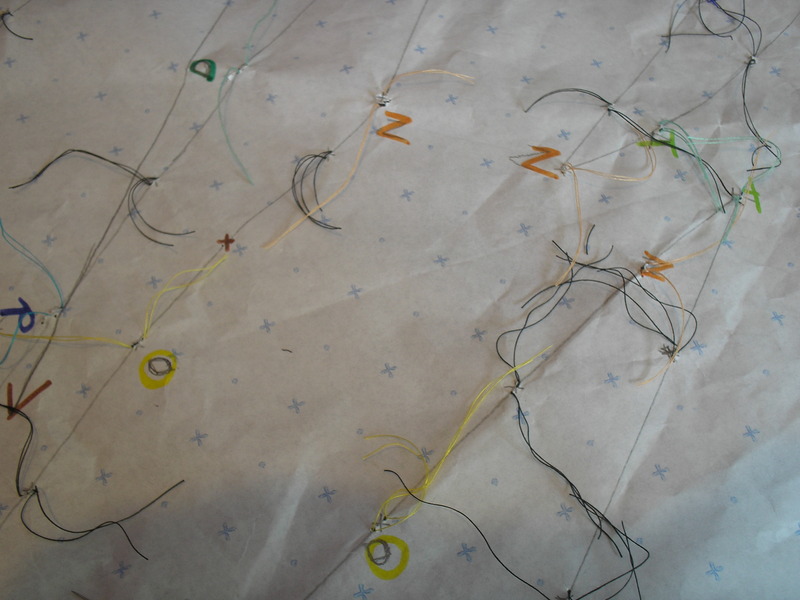 Use coloured thread on the coloured ‘x’ marks to make matching easier. I marked the letters on the pattern which needed to be matched in coloured pen, the bulk of the tailors tacks can be made in one colour but I used threads to match the colour on the pattern to mark the coloured ‘x’ marks. This helped when I got further in to the instructions. 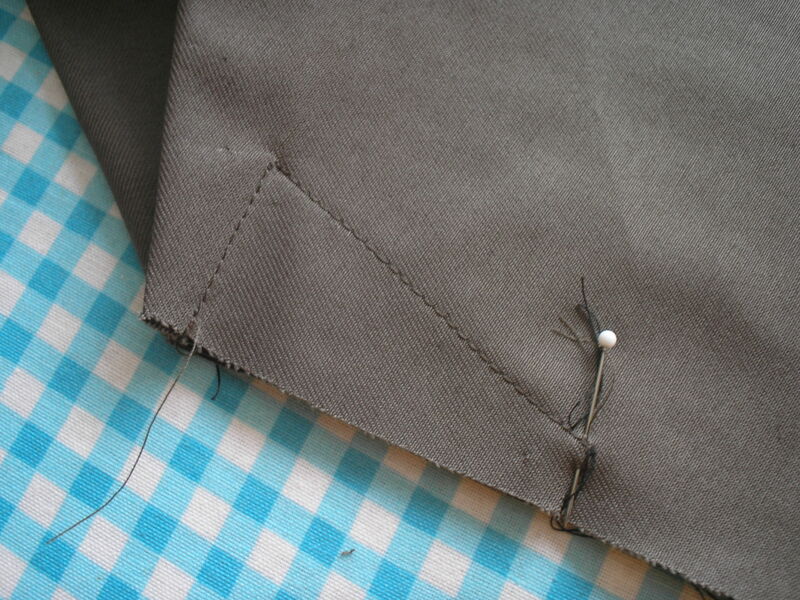 Don’t skip making the tailor tacks – even the ones that don’t appear to have a purpose help to get the creases folded correctly later. As instructed. I pressed the seams toward CB having clean finished them in lining to neaten as they are visible inside this unlined jacket. 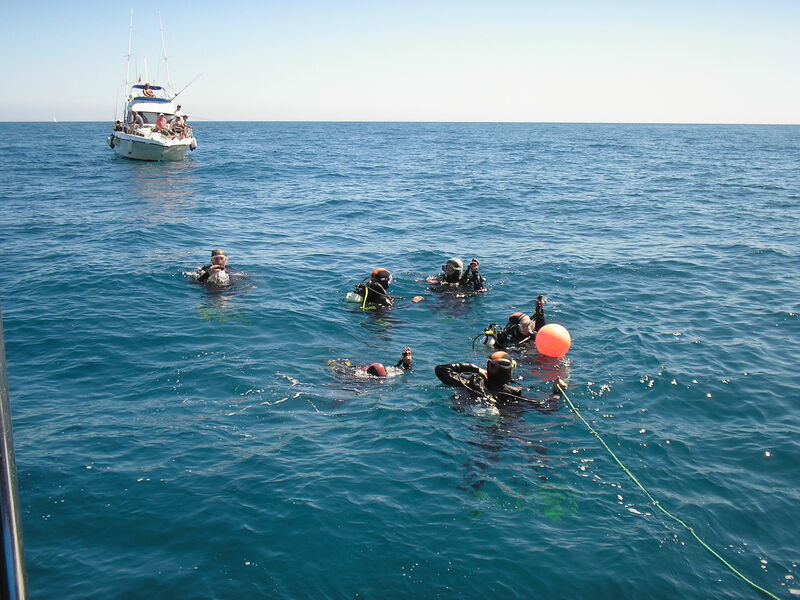 The photograph shows which edge of the pattern piece is CB. I got that wrong first time. After sewing into place I under-stitched to hold flat. Bust dart instruction. I found this straightforward but not everyone seems to agree. Ensure that you sew the short seam between markers and then sew the long seam only as far as the clip markers – not all the way to the point which gives you a straighter shape to the front piece. I sewed this along the front edge to hold all the edges flat after pressing. Points C & Y need to be folded down in direction with the right side of the piece facing you. This will now complete the bust dart and you can see how this will work on the body as you hold the piece up. This seems like the simplest instruction on the pattern, folding shoulder notches to make a dart. However, I looked closely at the photographs on the Show Studio page and this should just be stitched at the shoulder edge to create a tuck, not a dart like I sewed. I guess it is personal choice but the tuck looks nice. Point P joins with the bottom of the opposite point. This creates a dart which is pressed on the inside. One point N is the top of the part sewn in part 9. Point M-M. I had problems eventually pressing the tuck without this 1cm stitched section distorting the garment so I unpicked this and left it. 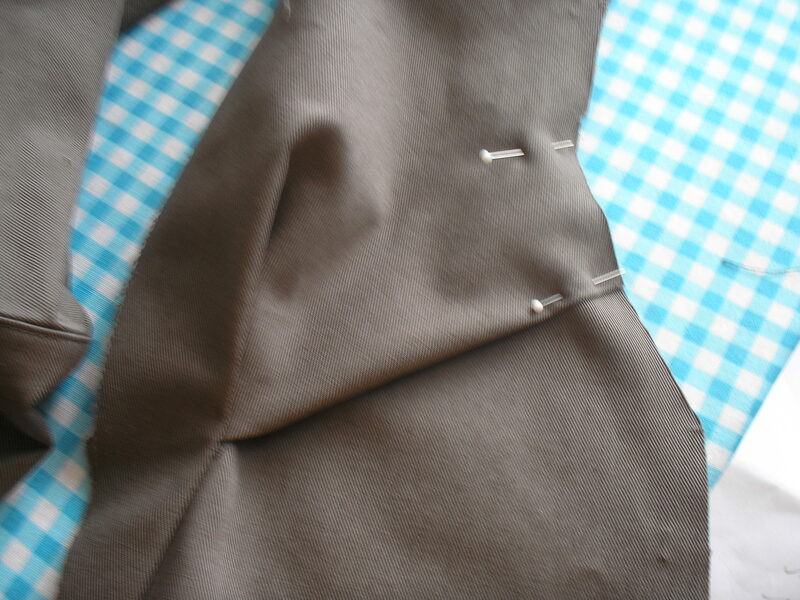 The tailor tacks ensure that you are making the fold in the correct shape. This is where it starts to look as if it might just become what you thought! Not Yet! I wanted to sew the sleeves into place and neaten the edges at the armhole edge before sewing the side seam – by waiting I thought I would get a tidier finish. 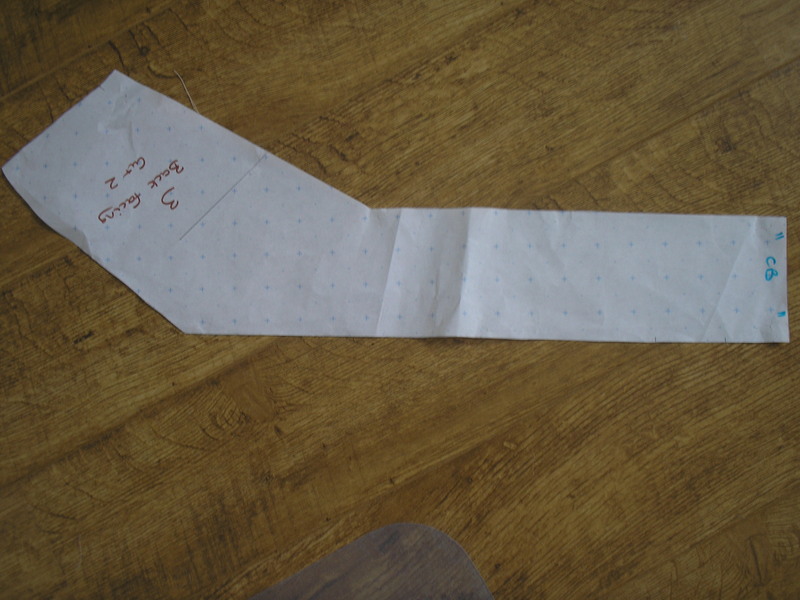 Fold the pattern in half to determine the short edge. This is important and will impact later if you get it wrong. 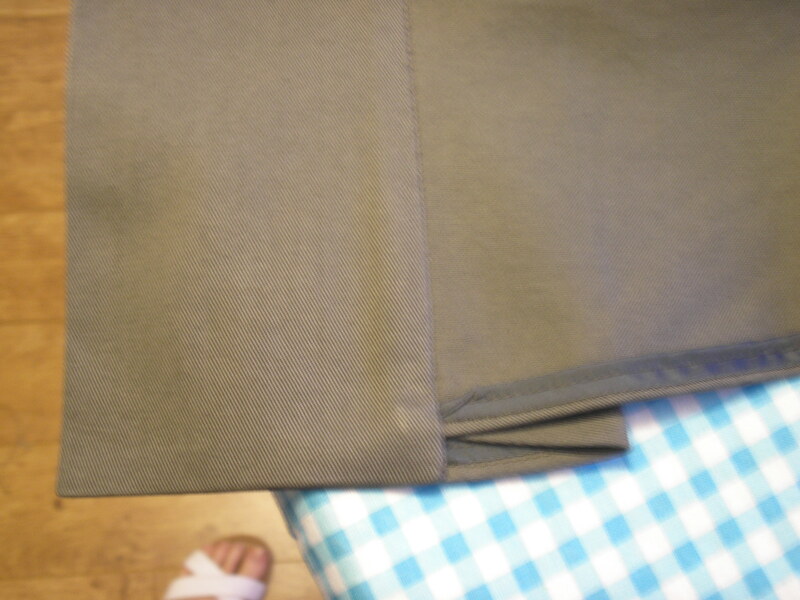 I clean finished the bottom edge only before hemming. I clean finished the bottom of both piece 1 before hemming these separately from piece 4. 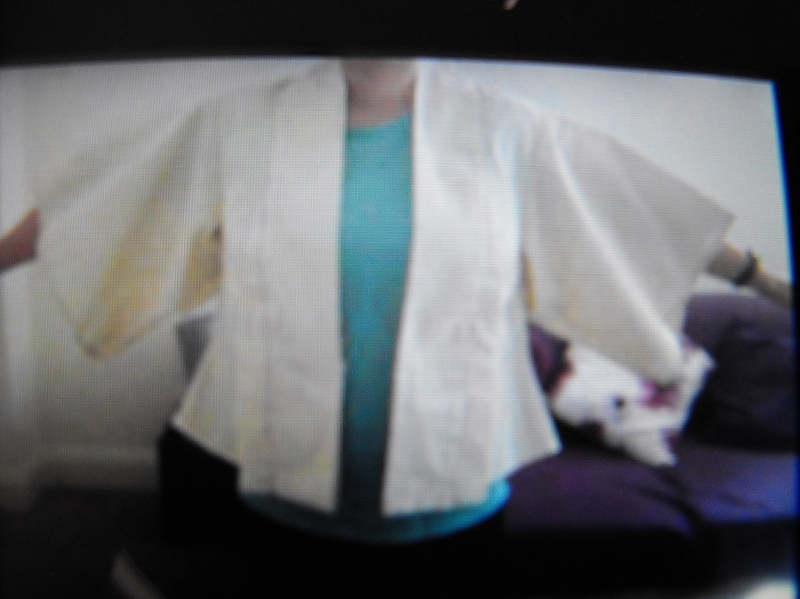 Check that the side seam is still going to match the length of the back piece when the seam is sewn with the facing. The long edge of piece 4 will extend beyond the hemmed edge of piece one when folded. You can see the finished detail in the photograph. As Instruction (though slight obvious difference if you are making edges equal). As instruction. I did this by hand to get a nice tidy finish. As Instruction. Clean finish as these will be visible. As instruction. Also clean finish. Don’t think you are getting this wrong when the sleeve seam isn’t level with the side seam – it sits slightly toward the front. As instruction – I clean finished. Side seam detail with facing. 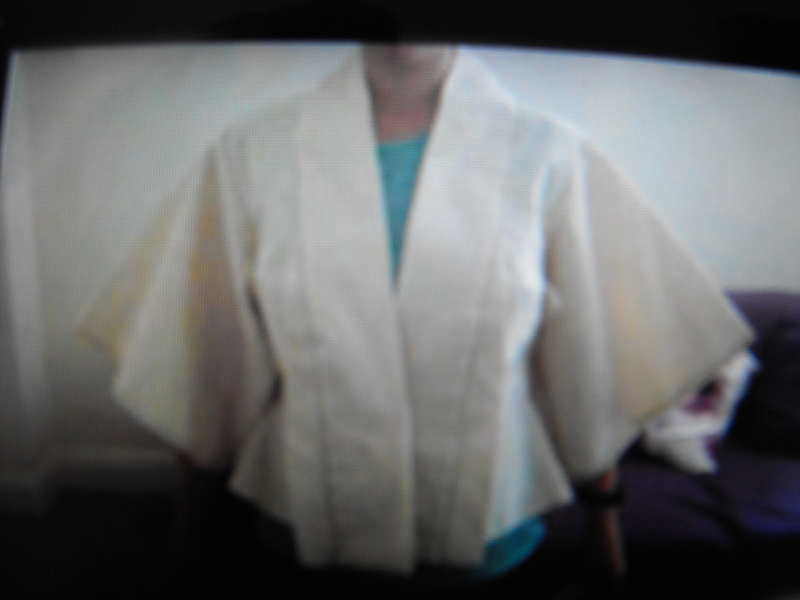 Now is where I sewed the side seam, folding the facing up to enclose the front piece. 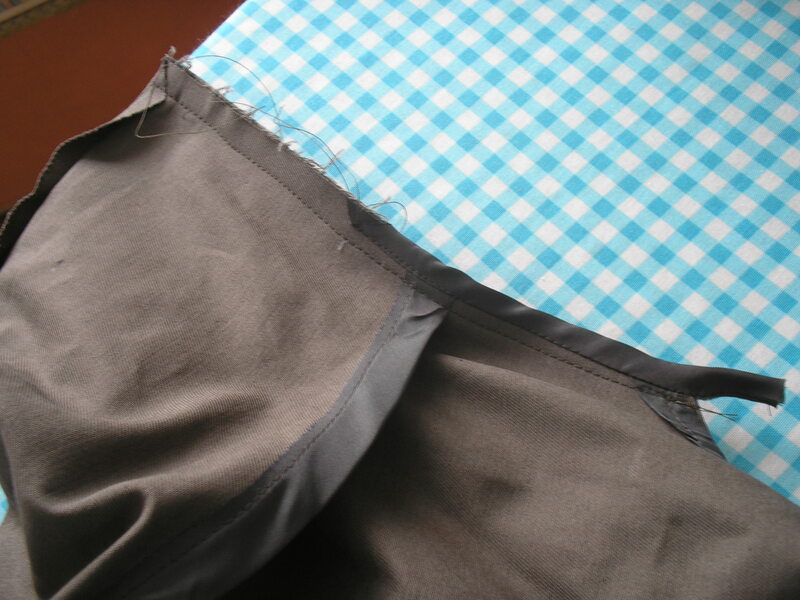 When the seam is pulled out and pressed towards the back it gives a lovely clean edge. 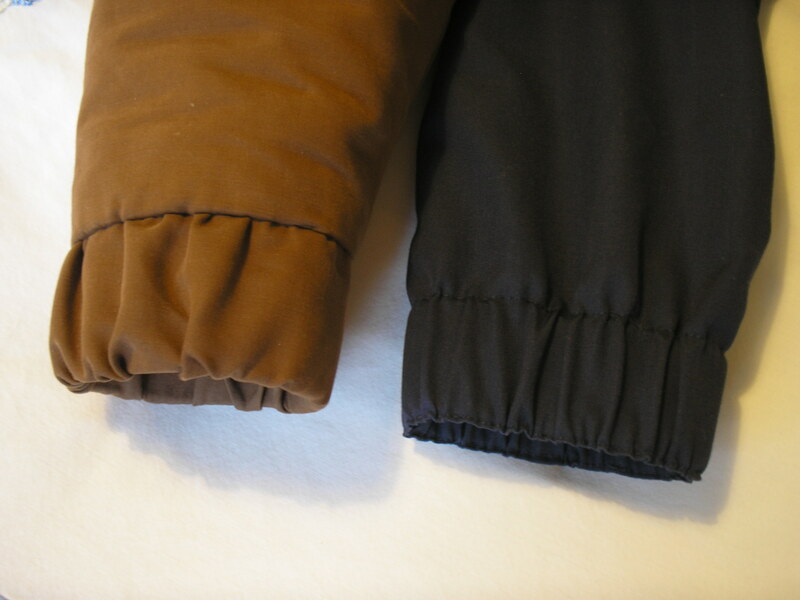 I tacked the folds into position on the back before pressing, clapping, and leaving the jacket on a hanger overnight to cool and set the creases. By the time you get here you deserve to go and get a strong drink! 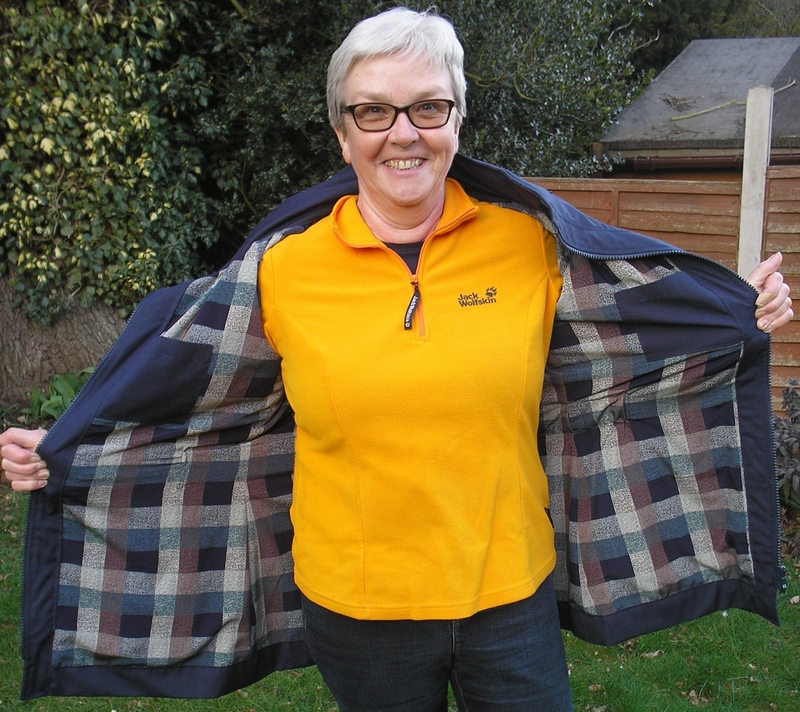 If you are thinking of having a go at making this jacket don’t be put off by the amount of instructions – most of what is done is fairly intuitive, and hopefully what I have been able to supply will help a bit too. Let me know if you make one! A Management moment at Kew. So, not only finished but finished for the event I really wanted it for. How crazy is that? 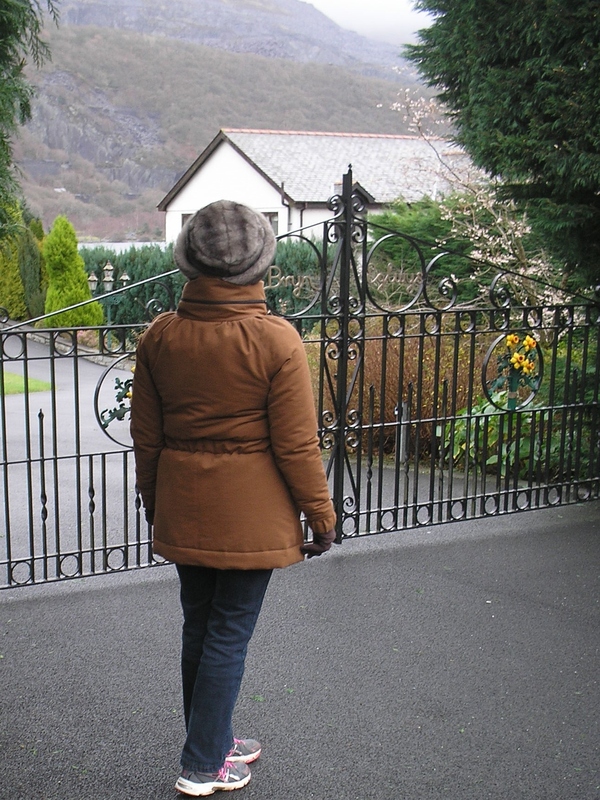 The weekend in Llanberis ( in Snowdonia) had been booked for some time and I knew that it would be a very casual affair – but that the Welsh weather can be very unpredictable. The Management and I planned a weekend of simple walks, a little shopping, and eating out. Just the place to test out my new Sewaholic Minoru jacket. We arrived in Wales to weather that the NikWax could never have been expected to cope with – a deluge of mixed rain and hail. Thankfully we were luckier later in the weekend although the ‘showerproofing’ was put to the test – successfully I can report. Hurrah! It was pretty cold all weekend so I spent most of my time outside wearing a ridiculous fur hat, the hood went unworn. 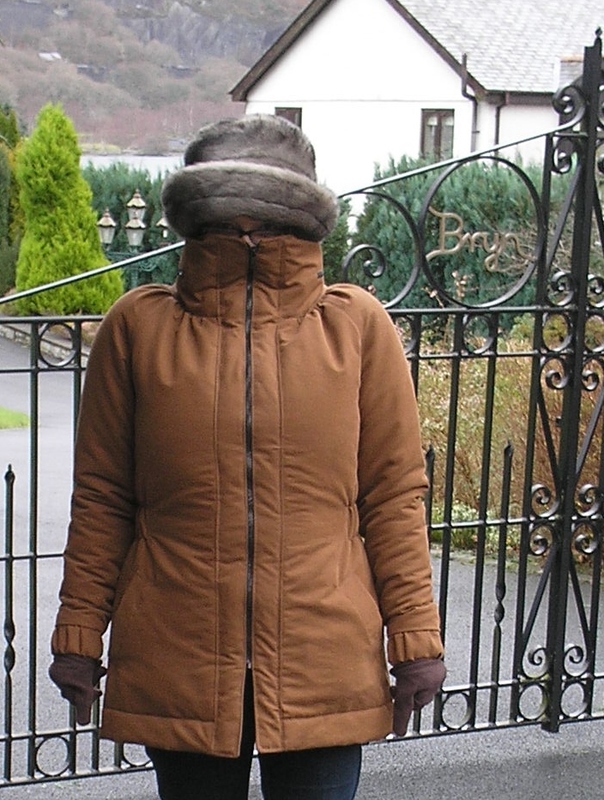 The collar on the jacket is pretty tall, it looks good with the zipper left open a little way, and is good for retreating inside when you get very cold (although you do look a little like a tortoise! I was very glad of the Thinsulate interlining which worked very well. 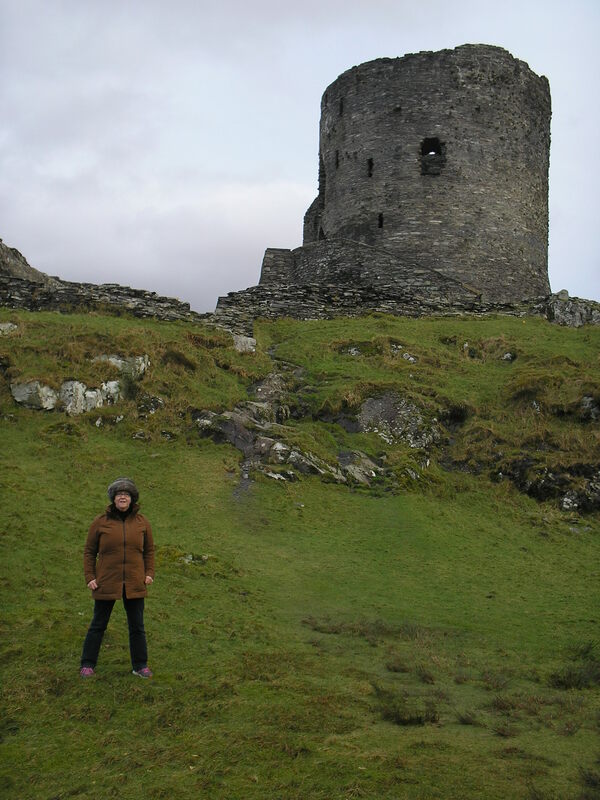 My body was kept reasonably warm and on the climb up to Dolbadarn Castle I had to undo the zip to cool off a little. I wore the jacket again today to do a little shopping in Bewdley and I have to say it has fulfilled all my expectations for this project. 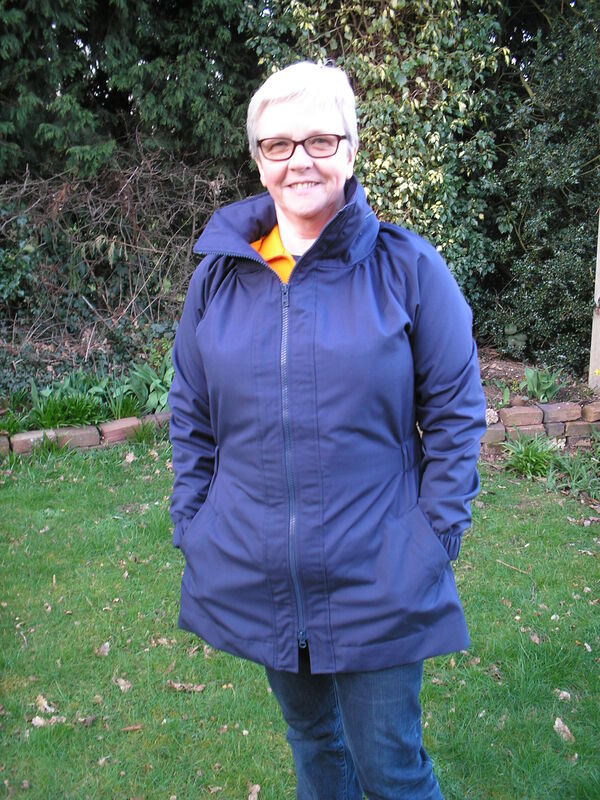 It is certainly going to be the ‘go to’ jacket for any casual occasion until it warms up too much to wear the insulated version. 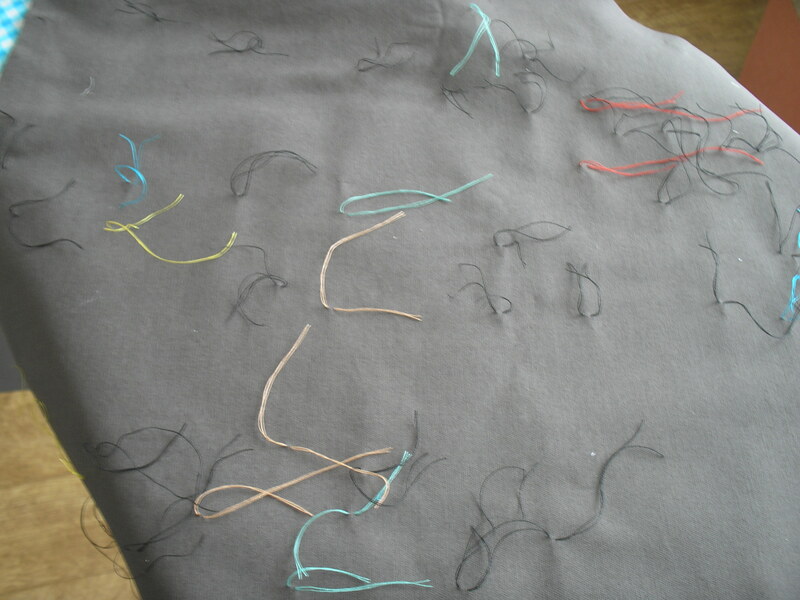 When that happens I think I will make another without the interlining – but I will be making some changes to the cuffs. (My only grouch about the whole jacket). Clearly this pattern deserves its great blogosphere reputation. January’s Garment A Month completed ahead of the 31st and it’s a winner!